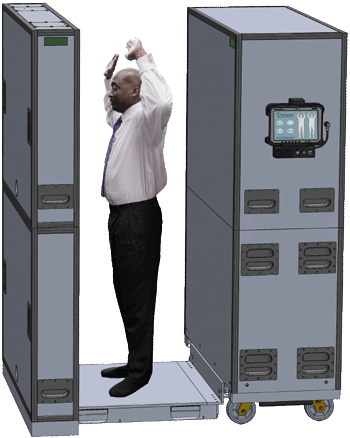 Traveler provides the same thorough screening as our general-public body scanner, Defender, but in a modular design for quick set-up. Used in applications such as dignitary protection, Traveler ships to the site in three rugged containers and takes 15 minutes for two people to setup. Depending on the application and privacy requirements, raw images may be analyzed or Tek84’s breakthrough software, Automated Threat Detection (ATD), may be used. Traveler breaks into five major assemblies for transport without the needs for tools. 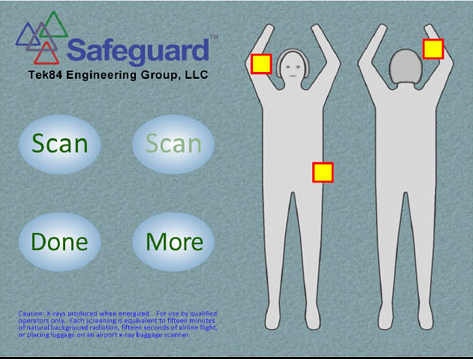 Set-up is quick and simple – remove from the shipping crates, snap together, plug into power, and being screening. Installers and operators do not need a technical background.